The need and desire for secondary living quarters are currently on the rise. More and more people are choosing to keep Mom and Dad close while increasing the value of their property. However, if you are in the market for a Mother-in-Law suite, there are a few considerations to keep in mind. Where to place the new suite should be at the top of the considerations’ list. There are several options on where to locate this new space. 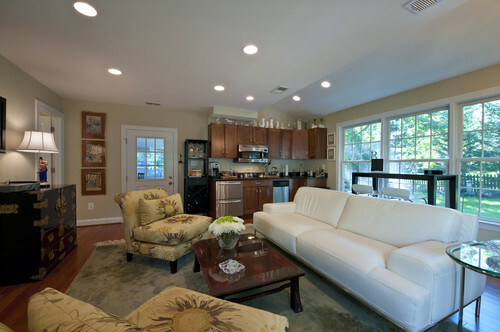 These are a few different basements that have been converted into living quarters for the in-laws. If you have a basement, this may be a good option. 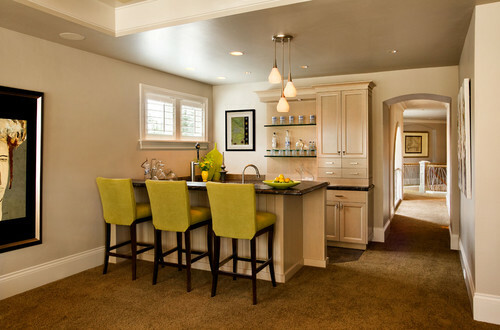 Basements are generally quite spacious, and access to plumbing and electrical is usually already close at hand. With a well thought out design, basements can offer all of the amenities that any person would require for day to day living. 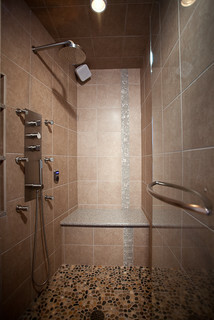 They also provide a connected, but still private, quarters for parents that still want their independence. 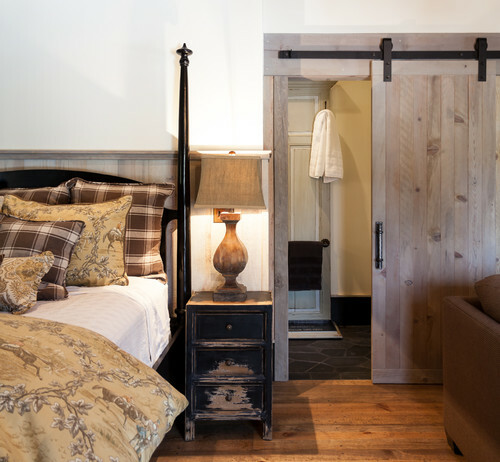 In addition, these conversions can easily be utilized as usable space once mom or dad is no longer living there. A big downside for basements and one that will be repeated for several other location options is that they almost always require the use of stairs. However, if the parents are still agile this may not be an issue. Another way around this obstacle is to provide an exterior door at ground level. 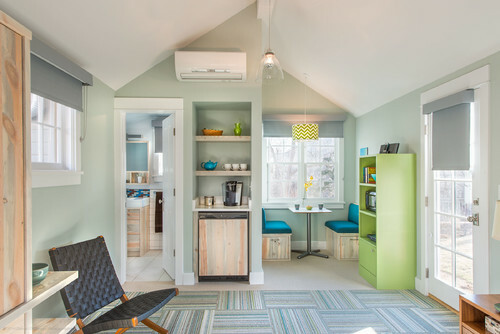 The unused space above the garage can be turned into a studio apartment. Just like the basement, the space above the garage is usually quite spacious. It can offer a largely untapped area that can be converted into a studio apartment. If the new resident will be using the garage for parking, interior garage stairs can provide a private entrance. 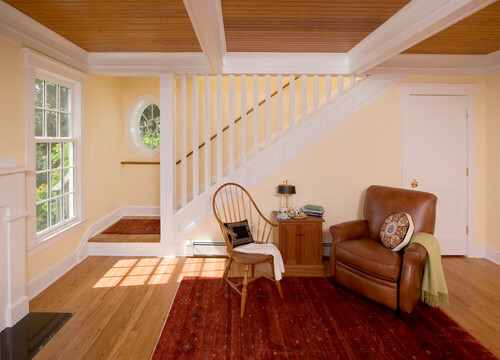 If interior stairs are not possible, consider exterior stairs that lead to a small deck landing. The space above the garage may not have easy plumbing and electrical access, and just as the basement, there is the issue with traversing stairs. Although this provides one of the more independent living quarters, it may not be the best solution for someone that is frail or may become frail in the future. So, why not just convert the garage itself? That’s what these people did with their garage. It provides the perfect living space for their still very active parents. Kitchen and living are located on the first floor, while sleeping is just up the stairs. However, this idea can work for just the floor level as well. These are usually located at the ground level, which eliminates the hassle and worry of using stairs. Garage doors can easily be changed out for windows or door/window combinations. 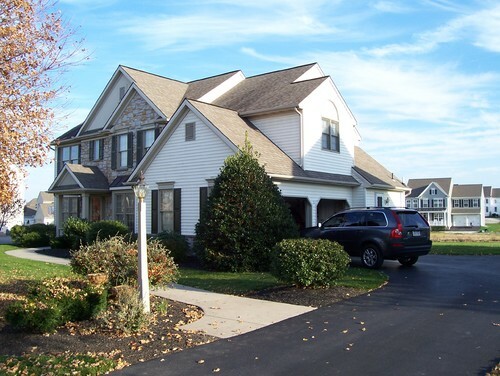 If the garage is attached to the home, the residents will have privacy plus the joined connection to the main house. This can come in handy if frequent checking in is needed. This option may do away with much-needed parking space. It also may require plumbing and electrical work to make the conversion. If you are like most people, you may not have a basement or garage space that can be utilized for an in-law living quarters. In that case, looking at converting a portion of the main living quarters may be necessary. 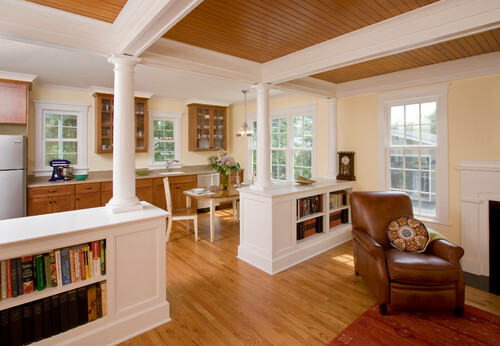 This is usually done by turning an extra bedroom or an office space into an extra living space. 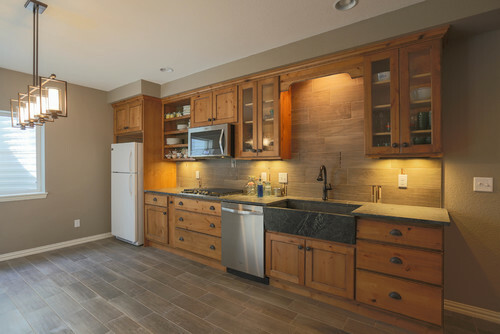 This room with a wet bar would make a very nice in-law suite. This in-law suite has gone the extra effort to bypass the stairs by adding an elevator (hidden behind the door in the background). Electrical and plumbing is already present, and the area is already finished out. All that is left to do is to create an appealing layout. There may be an issue with privacy, especially if the in-law takes pride in their independence. 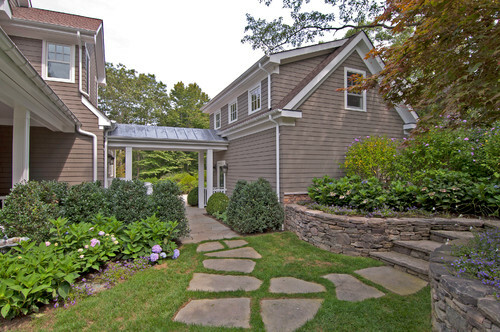 If you have space and the budget, perhaps the best plan is to build an addition. It can be attached or detached depending on the particular needs of the user. 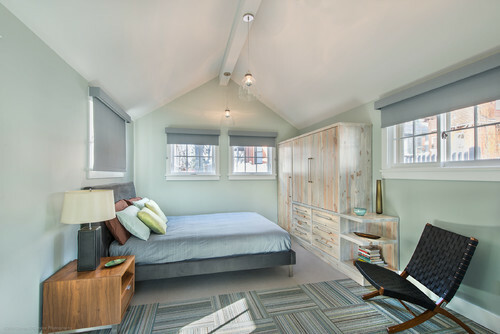 Here a beautiful addition for a mother-in-law suite, equipped with its own garage and living quarters, connects to the main house via a mud room. 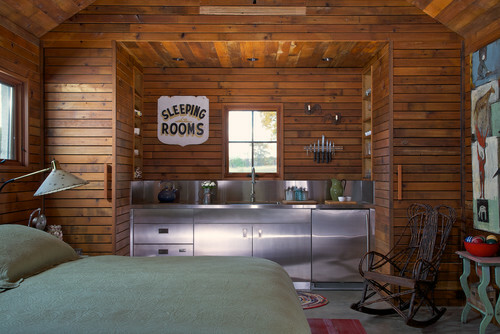 And this rustic detached guest house is a perfect place for in-laws to call home. It comes equipped with everything except a full kitchen. 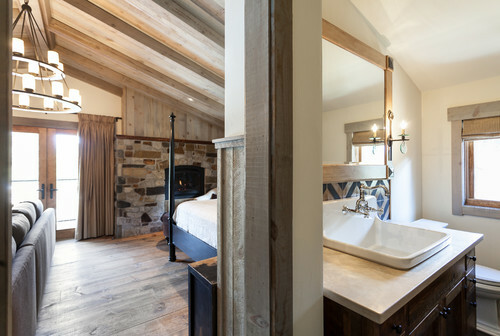 When designing or planning an in-law suite, take into consideration their comfort needs and some very important safety issues. 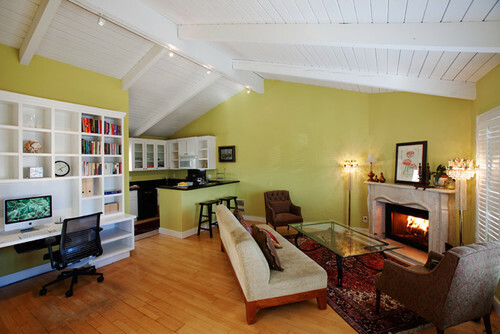 Try to plan the space so that it will be appealing to the tastes of the user. 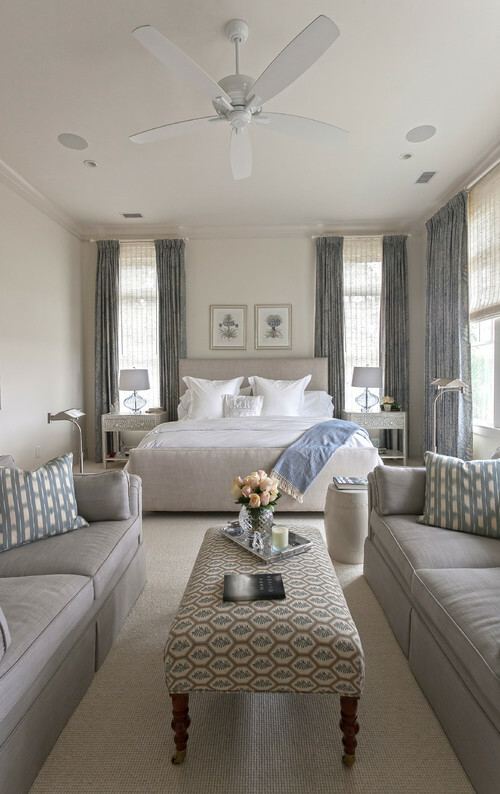 Consider color options and patterns that will make the guest feel at home. 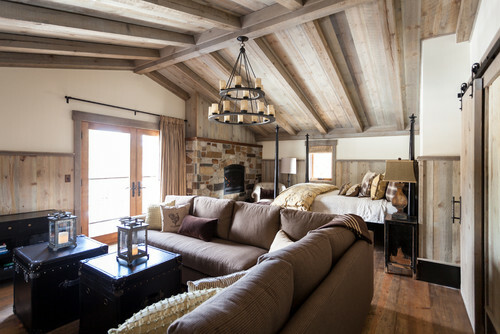 This in-law suite looks as if it were designed for the Father-in-Law. 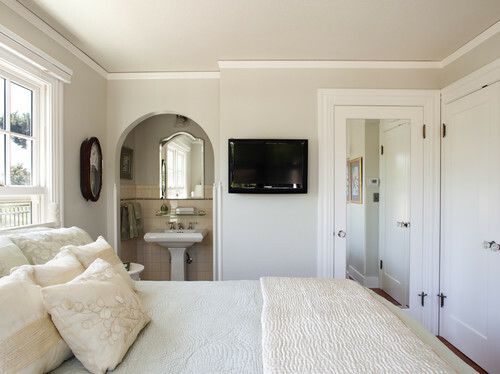 And an elegant suite with a design that would work for both mother and father-in-law. 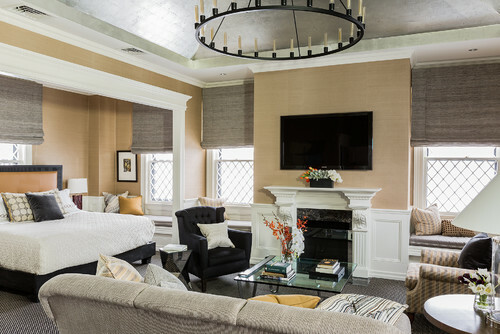 This suite has a look that rivals even the nicest five-star hotels. And a beautiful pastel colored suite that definitely has a feminine flair. 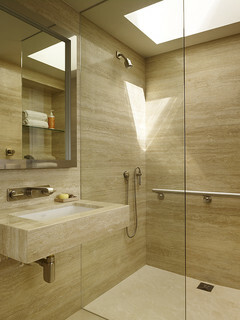 Bathrooms – Try to have a bathroom close by. If a private bath is possible that would be best. Sitting – Provide a sitting area so that they are not forced to use the bed for both needs. TV – If they enjoy television as a pastime, provide one. Other amenities – As much as you can make the space feel like home, you should do so. 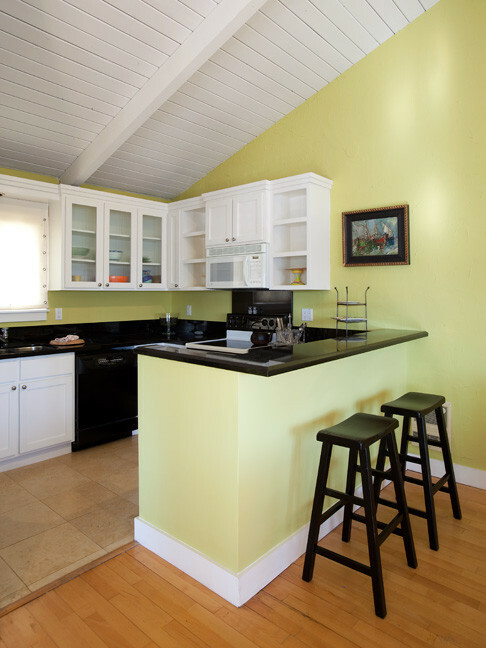 Consider a kitchen or kitchenette. 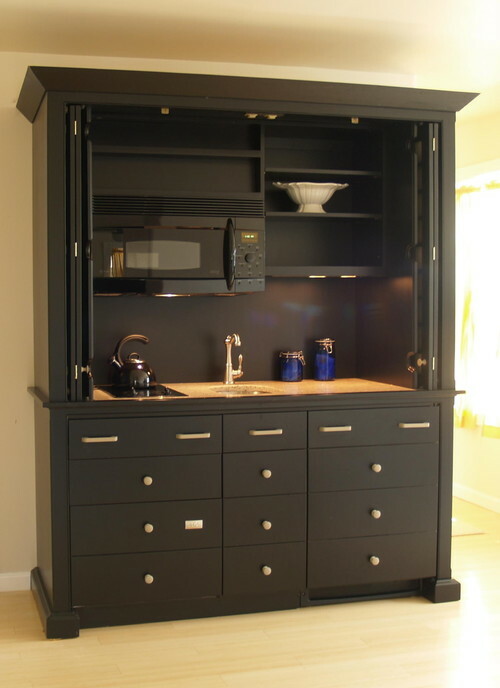 If that is not possible, a coffee station is a relatively simple addition, as is a microwave. (For more information on microwave options, be sure to read this article). Try to provide as much independence as possible within the bounds of what is best for your particular situation. Flooring – Make sure that the flooring is not slippery. Choose carpeting over loose rugs and choose a tile that will not become slippery when wet. Cooking appliances – If cooking appliances are included make sure that they are a type and brand that the user is familiar with and will not cause confusion. Some people do not cope well with newer technology. So, consider how user friendly the appliance will be from that aspect. I personally like this portable induction cooktop. * It cooks exactly the same as any induction cooktop and it has the added safety feature of turning itself off after 60 seconds if no cookware is detected. 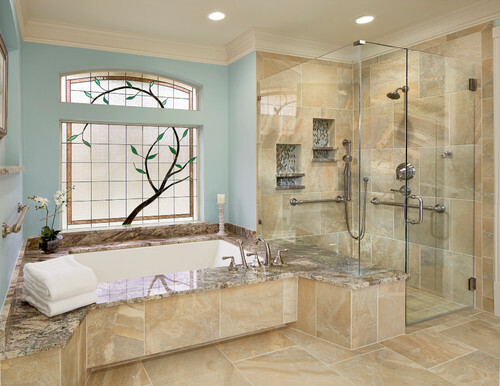 Bathrooms – Consider future needs when choosing tubs and showers. 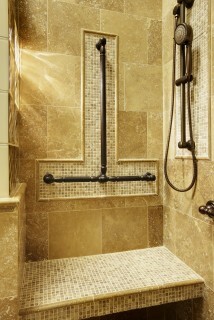 Safety hand rails* may need to be installed near tubs, showers, and toilets. Look into hand rails that do not create a hospital type feel, but instead choose hand rails that match the rest of the fixtures. Other – If applicable, consider items such as intercom systems and extra land lines. This Caregiver Pager* is a great, affordable alternative for live-in parents that just want a way to page you in the event of an emergency. If you are concerned that you don’t have a space for a kitchenette, consider adding kitchen supplies to a cabinet furniture piece. 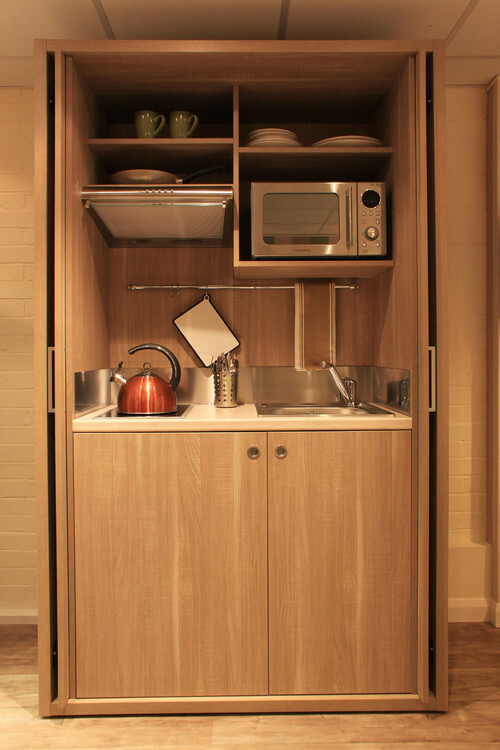 Just about any storage unit can be converted into a small kitchen station. Here are just a few ideas. Here are a few inspirational photos just to demonstrate safety rails that do not lend to a hospital effect. One thing to remember is that every situation is different, and likewise, the needs of each individual will be different. Choose an option that best fits your in-laws needs and everyone will be much happier. Also, make sure to check with your city or township for proper zoning and codes, and get all of the proper permits before starting a project like this. Enough with the bar-height seating. Nothing higher than counter height, please. The best choice is table height for anything in the kitchen. I prefer nothing but drawers beneath counters. Using PIC units and portable induction ovens clears counter space and can be stored in drawers below. They do not cause fires or burns, either. Microwave ovens need to be placed so you are not reaching up to use them. Thanks for the suggestions! These are all great points.